The many different aspects of behind the scenes work comes together to make a production happen. When it comes to theater, very few know about the people working hard behind the scenes. This year’s musical, Hairspray, has these people working harder than usual. 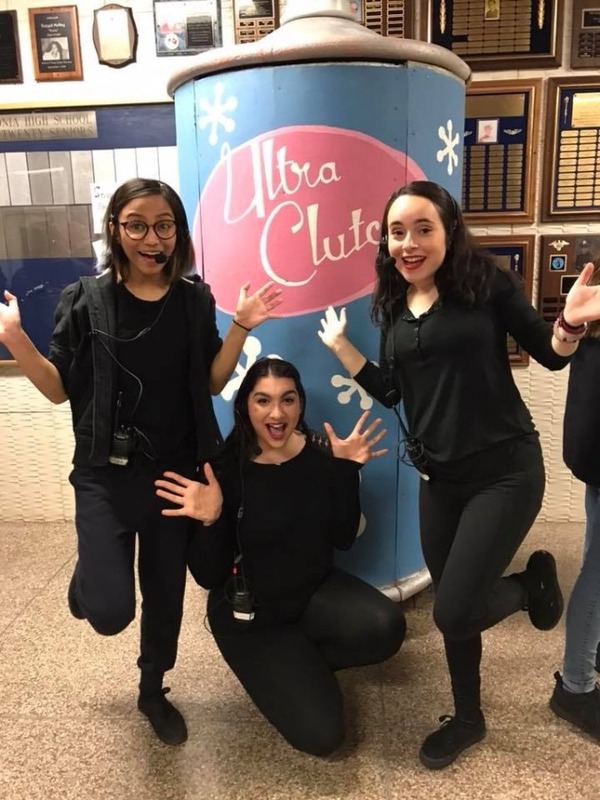 There are six different categories of people behind the scenes: Set Design, Stage Crew, Lighting, Costuming, Hair and Makeup, and Stage Management. All of these groups play a vital role to the making of Hairspray. The production wouldn’t be the same without them. Time has been the biggest enemy for everyone working behind the scenes. 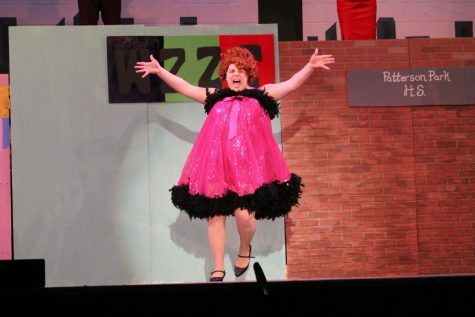 Hairspray is a big musical, so it requires more props, set pieces, and costumes. Time quickly runs out to meet all these requirements. Crew needs to get everything done as quickly as possible, and it stresses everyone out. That stress hasn’t prevented the crews from doing their jobs, however. There’s a level of commitment behind the scenes that is unparalleled. Everyone behind the scenes is completely dedicated to their jobs and willing to do anything to get their jobs done. Every single person behind the scenes has a different job to do. Set Design Crew in the early stages of creating Hairspray's set. 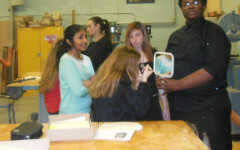 Set Design Crew was the first behind the scenes group to meet for Hairspray. Their first meeting was in January and they worked diligently into March. The main goal of Set Design Crew is to create the set for Hairspray as quickly as possible. Set Design Crew is also in charge of numerous other tasks. 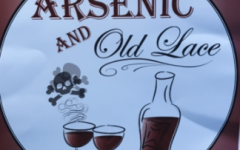 These tasks include acquiring props, painting set pieces, and coming up with ideas for more set pieces. Building and painting the set is the top priority for Set Design Crew. 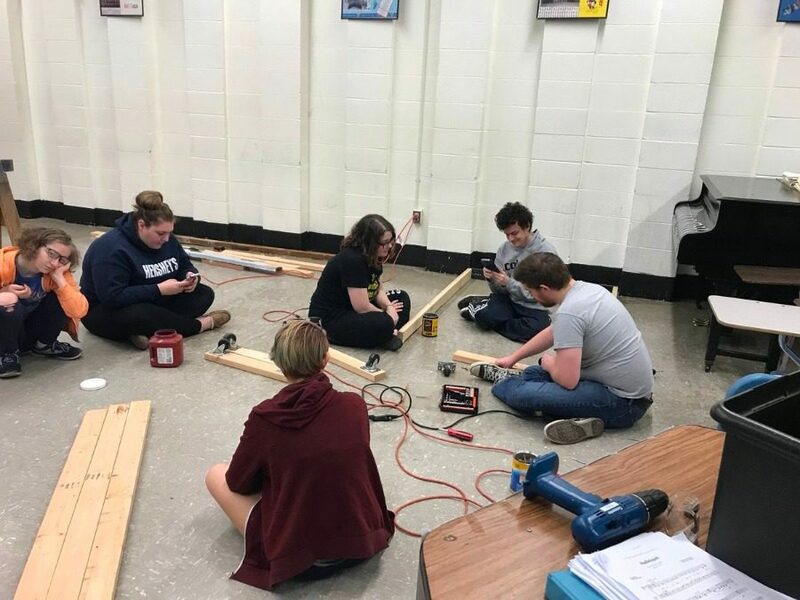 During the musicals, building the set is typically the most time-consuming activity, and it was no different with Hairspray. All of Set Design Crew works hard to put the set together, everyone being proficient in different ways. Some members are better at building and working with power tools, so they work on building the set. Some members are more artistic, so they work on painting. Painting the set is usually the most stressful part of Set Design Crew. Set Design Crew paints the set last, so getting the painting done before opening night is often very stressful. This year, Set Design Crew ended the day Hairspray began. The set was finally fully painted the day it was showcased to an audience the first time. 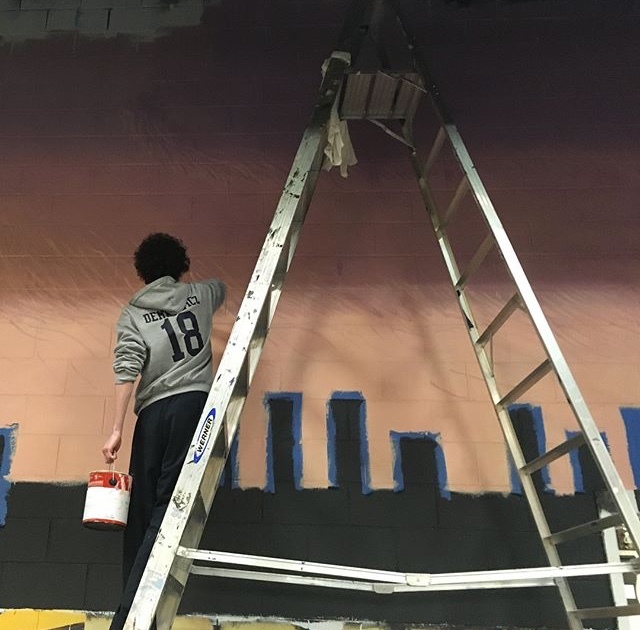 Scenic artist, senior Thomas Demkowicz, shouldered most of the responsibility of painting Hairspray‘s set. Demkowicz’ main job was painting the back wall to resemble a sunset falling over Baltimore. This took over two months of dedication to complete. After Demkowicz finished the back wall, the set was complete. Then, he moved on to paint the actual set. Demkowicz found himself extremely stressed for time during the majority of Hairspray. Acquiring props is one of the easier jobs for Set Design Crew. For around two days, the crew is sent to look through the prop closets. Hairspray did not require many props. Scenic artist Thomas Demkowicz painting the back wall. Hairspray did, however, require some very specific props. On the props acquirement list were things like: six jelly donuts, a ring that matches Amber’s hair color exactly, and 11 bells without the ball in them. So while there weren’t a lot of props to acquire, the props were much harder to find. Without Set Design Crew, the cast wouldn’t have any props and the production would lack that special something that comes with those props. Set Design Crew is not responsible for conceptualizing the set or figuring out the necessary props. This is the responsibility of the Technical Directors. 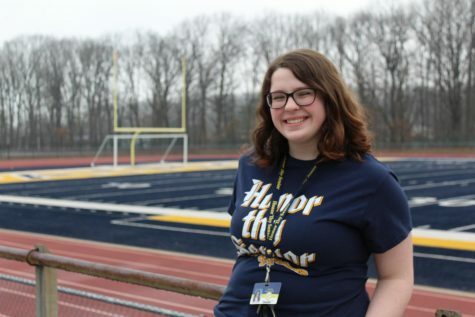 The main Technical Director is Mrs. Melissa Abrams, an Honors English Teacher at Colonia High School. Abrams has been working on musicals at Colonia High School for over 15 years. Hairspray is Abrams’ 16th musical in counting. Every year, Abrams chooses a student be her Student Technical Director. 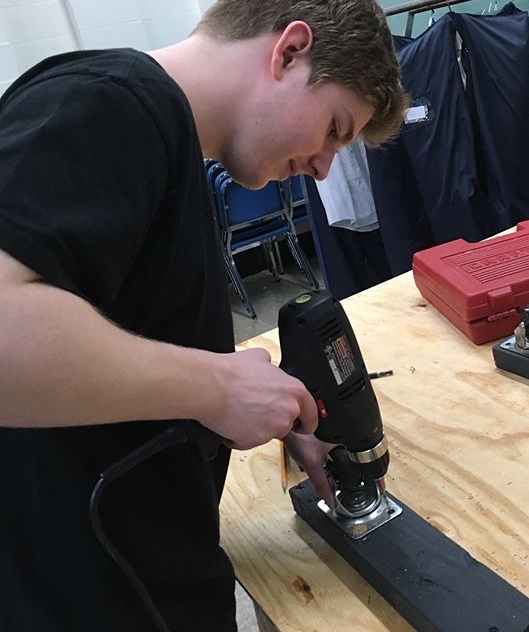 The Student Technical Director has some of the responsibility that Abrams has, and is in charge of talking one on one to students to assign jobs. 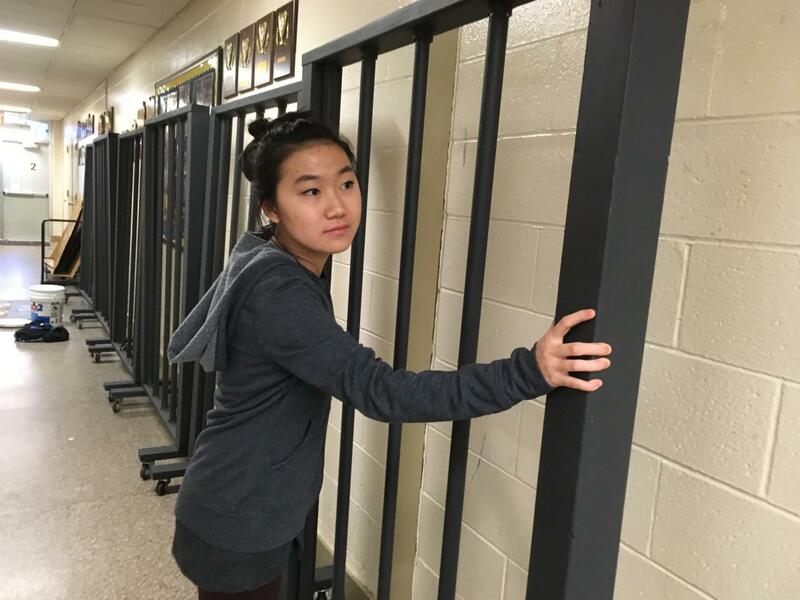 Senior Stage Crew Member Melissa Ngai begins to move jail cells backstage. Stage Crew is a group of students in charge of getting the set pieces on and off the stage. Members of Stage Crew are required to be quick and quiet as work with heavy, loud set pieces. To be in Stage Crew, one has to be quiet and dexterous. 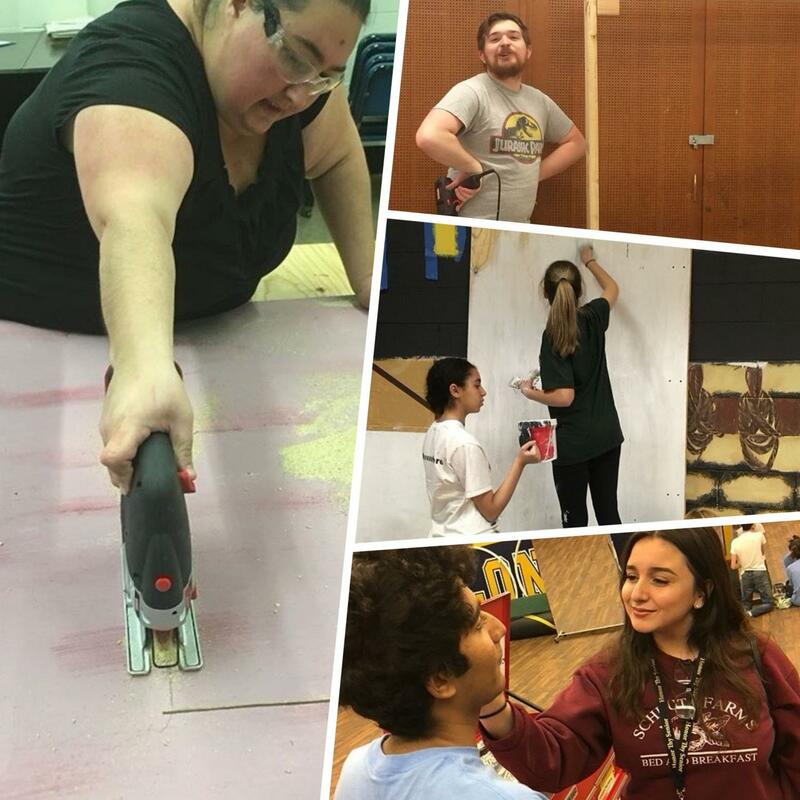 Stage Crew puts a large amount of work into Hairspray. They rehearse just as much as the cast does and get half the credit. They move the set pieces and set everything perfectly into place. Without Stage Crew, the stage would be blank at all times. Senior Anthony Piccini runs out in a costume Stage Crew Senior Skylar Trela changed him into. Stage Crew’s job does not end when the show ends. Their work offstage is just as important as their work onstage. Stage Crew members are responsible for all props. They make sure all cast members receive and return their props. Stage Crew also sets up and takes down the prop table, and makes sure no props gets lost. They are responsible for finding or replacing missing props. Stage Crew also helps in many other jobs, they will help if any other job needs assistance. If a Stage Crew Member has nothing to do, they will assist the other jobs. 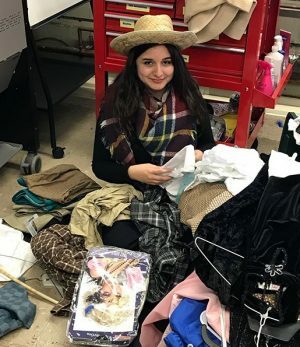 For Hairspray Stage Crew Senior Senior Skylar Trela was in charge of all of the costume changes for the character Tracy Turnblad. Quick changes need to be rehearsed almost as much as the show so that the timing is perfect. The Lighting Technician is in charge of all the stage lights. A stage light is a light that hangs above the stage and provides light to the entire stage. The Lighting Technician helps program these lights and is in charge of turning them on and off to specific cue. A Lighting Technician has to be precise and capable of listening to directions. Hairspray‘s Lighting Technician is Senior Landry Miles. Miles is a four-year senior that started theater as a member of Stage Crew. During the process of Hairspray, Miles was also on the Set Design Crew. The Spot Operators are responsible for using the spotlight. Spotlights are used in important moments of Hairspray to emphasize their importance. Spot Operators need to have steady hands and quick reflexes to get the spotlight up as smoothly as possible. This year’s Spot Operators are Junior Kristine Farley and Freshman Shane Walsh. Head Costumer Michelle Remite-Berthet searches “Narnia” to find costumes. Costuming had their work cut out for them during Hairspray. When it comes to costuming, there are four main ways to acquire costumes. One can rent them, buy them, borrow them, or make them. And, in Colonia High School’s case, reuse them. On top of acquiring costumes, Costuming is also in charge of quick changes. Quick changes are when a character has a very minimal amount of time to change from one costume to another. Hairspray happens to be loaded with quick changes. If anything in any of these quick changes goe wrong, a costume malfunction is bound to happen. Quick changes are one of the most stressful parts of Costuming. 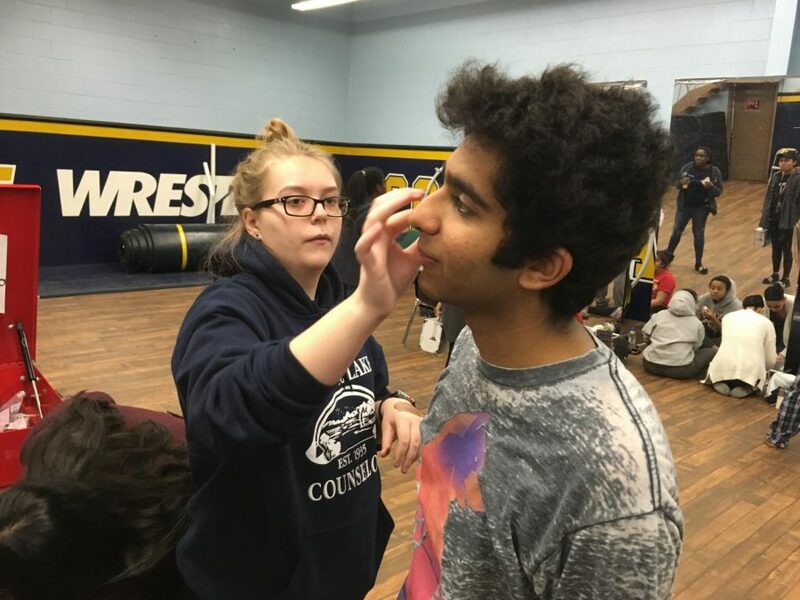 Makeup Supervisor Haley Vaughn applying makeup to Senior Ashank Punj to accentuate his features. Students in Hair and Makeup are required to have expertise in both Hair and Makeup. Students cannot do one without doing the other. Hair and Makeup always work hard, but they’ve been working even harder for Hairspray. Members are scrambling to get perfect 60’s updos and perfect makeup. For Hairspray, doing everyone’s hair was often a difficult task. 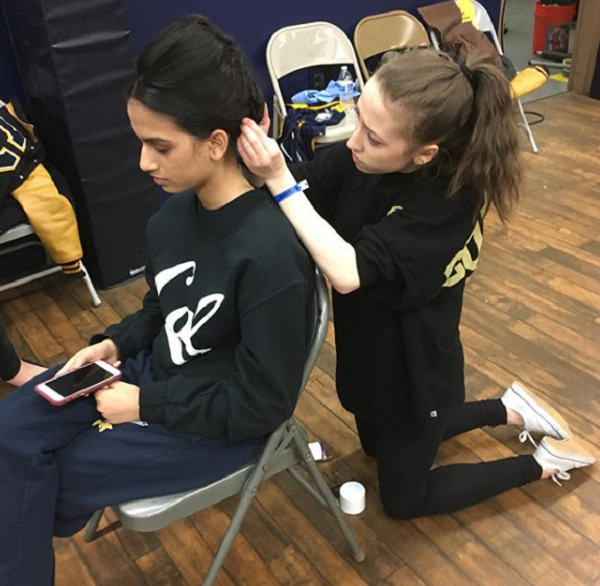 Students went through many bottles of hairspray and gel create hairstyles that looked stylish and remained intact. Students doing hair are always ready to assist in the case of a hair disaster. Junior Sarah Pereira waited in the wings in the case of a wig tragedy. For this show nine wigs were used, but the remaining performers needed their hair teased, curled, flipped, slicked and sprayed. Getting ready for a show like this, hair and makeup begins about two hours prior to the curtain going up. Teasing all that hair was an arm work out. After each dress rehearsal and show, the hair crew brushed and set two wigs with rollers to keep the flip going show after show. Everyone on stage wears makeup to accentuate their features. Without the use of stage makeup cast members would look washed out by the onstage lighting. Their eyes would look small and their skin would look very pale. Students who do makeup are responsible for applying makeup to cast members. Applying that makeup is sometimes a problem. Some of the cast members don’t like getting makeup applied and actively fight against makeup. The worst of it comes with the eyeliner- many cast members don’t trust other people near their eyes. The Stage Manager plays a vital role to any show. A Stage Manager, as the name entails, manages anything related to the stage. This includes cast, microphones, spike tape, and cues. Before the show begins, the Stage Manager is in charge of managing cast attendance and giving notes to the cast. The Stage Manager is, in some cases, the middleman between the Director and the Cast. One of the Stage Manager’s most important jobs is calling cues. While the cast is performing on stage, the Stage Manager reads through the script and calls for lighting and curtain cues. Assistant Stage Managers are people who are training to take the place of a Stage Manager when the current Stage Manager graduates. The Assistant Stage Managers this year are Junior Jaden Riveles and Freshman Giselle Pampo. For Hairspray, Riveles’ and Pampo’s main job is changing microphones and making sure that everyone that needs a microphone has one. The two would have to quickly change microphones to make sure that every cast member is out on time.